As we complete each section of the site we are producing a revision guide to accompany it. Each guide will be available as an e-book you can buy and download to your pc, laptop or phone, so you can study and revise anywhere. Each guide features clear text and plenty of illustrations / photographs so you don’t just learn about the theory, you see the features too. 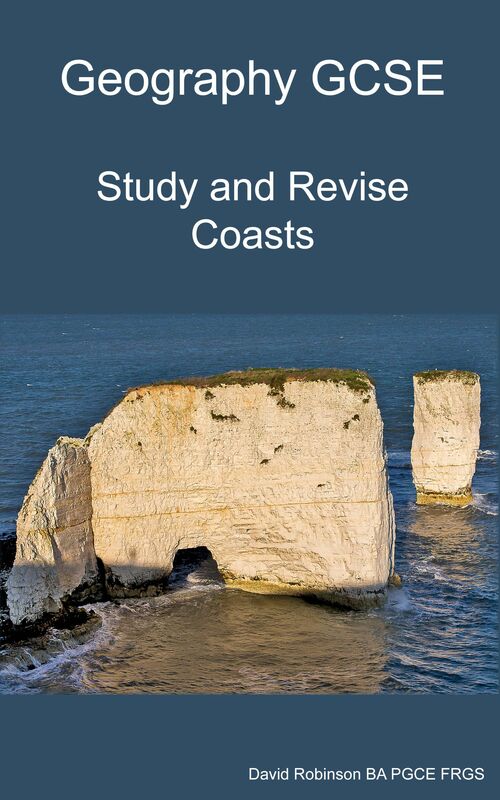 Study and Revise Coasts contains everything you need to know about coastal processes and features, presented in a convenient e-book format that you can take anywhere with you. In addition to all the website content ,the 196 page book suggests useful case studies, and is illustrated with loads of colour images to help you identify all the coastal features covered by the GCSE exams. At the back of the book there’s a comprehensive glossary, defining all the geographical terms to need to know. To find out more, read a section for free, or buy a copy for just £4.99, click the link below.